Ninti is purposely structured to take advantage of the full range of opportunities through three vehicles shown below. 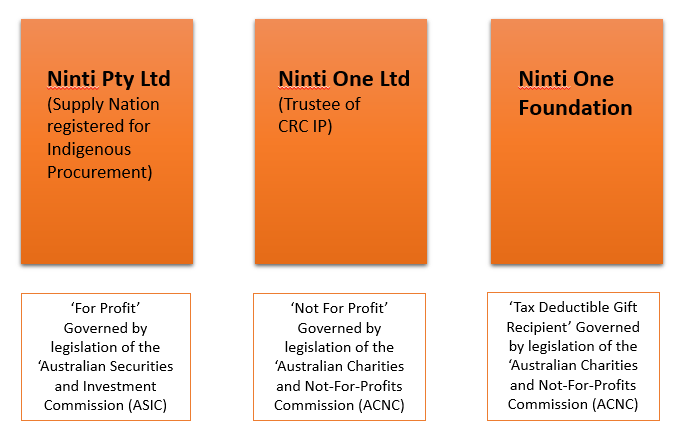 Ninti Pty Ltd is the parent company and it is the sole member of Ninti One Limited and the Ninti One Foundation. All three entities share a common vision of building opportunities for Aboriginal and Torres Strait Islander people, people living in remote Australia, through research, innovation and engagement.